PARTNER PROFILE: Ginstr’s SaaS platform provides companies looking to efficiently manage their field staff or their assets with a quick and simple to deploy cloud-based solution that comes with over 80 pre-developed applications and can be fully branded and tailored to meet each customer’s specific needs. 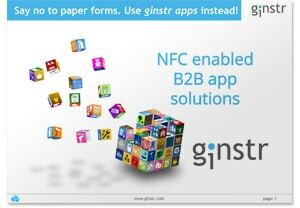 “Ginstr is the result of a €2m investment in the development of a fast, customizable and affordable modular platform that can be tailored to the needs of any company looking to improve the way they manage their field staff or who have large numbers of assets that they need to track,” Markus Semm, the company’s founder and CEO, told NFC World. “All the elements required to easily and quickly launch an NFC-based service — a simple-to-use Android app for the workforce, a cloud-based data warehouse, an online data management portal and a backend that provides seamless integration with your existing business management applications — are included as standard. “Customers pay a small one-time fee for a tailor made app that is designed to fit 100% with their existing workflows and branding and then an affordable monthly fee per user or per asset. “Existing apps are available for security guards, caregivers, health and safety inspections, construction, transport and logistics, maintenance, equipment rental, facility management, time recording, cleaning, chain-of-custody, attendance monitoring, utility meter reading, hotels and more. 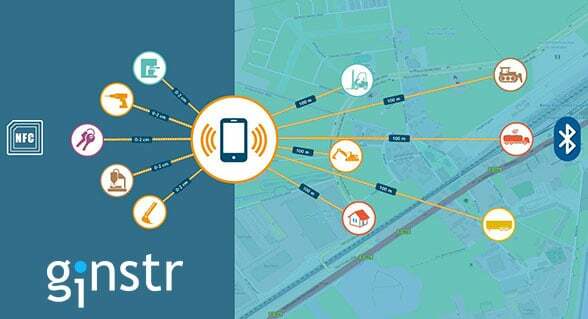 “And, as well as NFC, Ginstr also supports BLE and WiFi for longer distance interactions, such as the identification of bus stops from the vehicle, as well as barcodes and QR codes. It can also handle photo, video, documents and voice memos and features GPS location, electronic signatures, customized data displays, real-time updates and more. Readers interested in finding out more about how Ginstr’s platform can solve their business needs can download a detailed presentation from the NFC World Knowledge Centre or email info@ginstr.com.